2009 GoLite Gamut Jackets – ONLY $112! The new 2009 GoLite Gamut jackets!! It looks like winter is going to be around for another 6 weeks, at least according to Punxsutawney Phil. 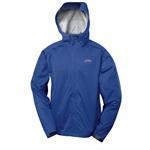 So make sure you stay plenty dry and warm with the GoLite Gamut Jacket. We carry both Mens and Womens models so come look around. The Gamut Jacket is designed with Trinity™ 3-layer stretch, waterproof, breathable fabric to create an affordable all-weather shell for every outdoor adventure. The adjustable, articulated hood has a reinforced visor for excellent face protection, the center front zipper with draft flap ensures that you stay dry, and the zippered hand pockets are lined with mesh. « 2009 KONA MAJOR JAKE FRAME SETS HAVE ARRIVED!!!! !